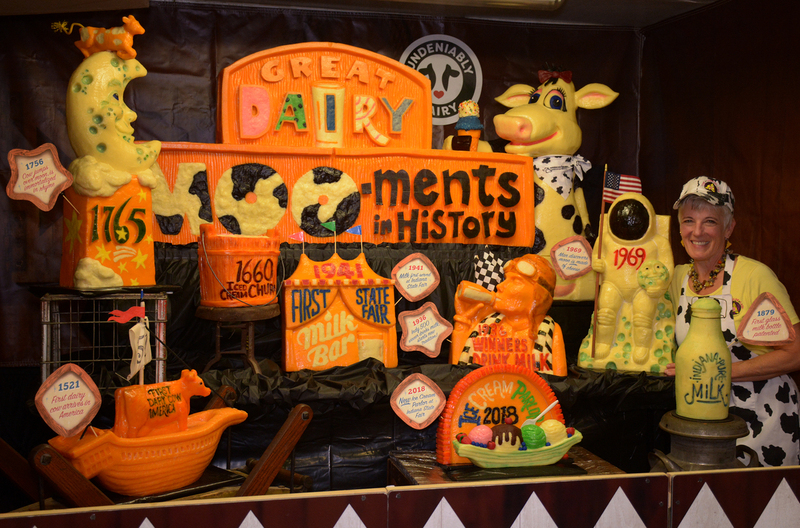 Wisconsin Cheese Sculptor Savors The Moo-ments In Carving 930-Pound Art One of the nation's preeminent cheese sculptors unveiled her latest masterpiece at the Indiana State Fair on Friday. 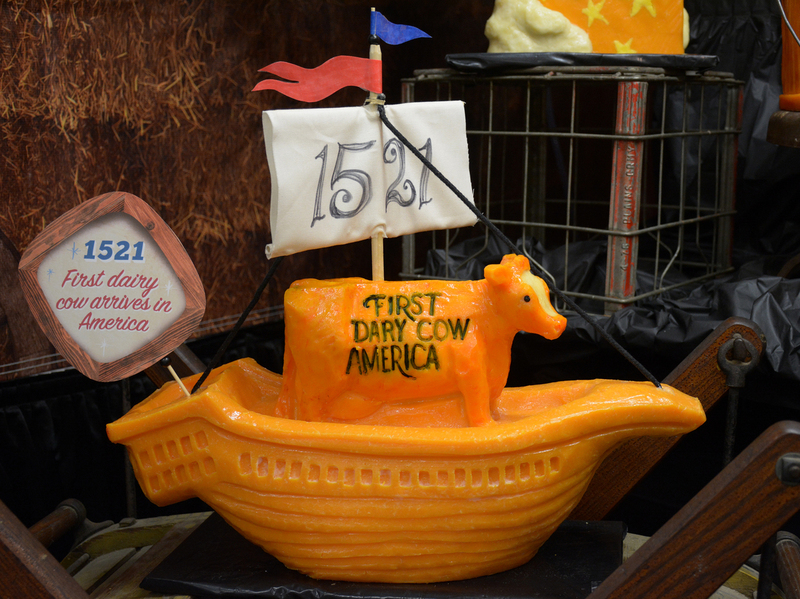 The 930-pound diorama depicts major events in cheese history. The audio version of this story indicates that Sarah Kaufmann's cheese sculpture at the Indiana State Fair is 960 pounds. Kaufmann misspoke. In fact, the sculpture weighs in at 930 pounds.